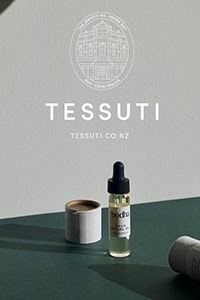 I've just wrapped up another issue of BNZ GoodHome, which includes a post on decluttering, organisation and storage. A great way to kick off the year, I'm looking forward to sharing it with you once it goes live, because there are some excellent tips and a cool DIY idea. The focus is on shelving units, because in terms of storage and decorative displays I believe they are a great solution. 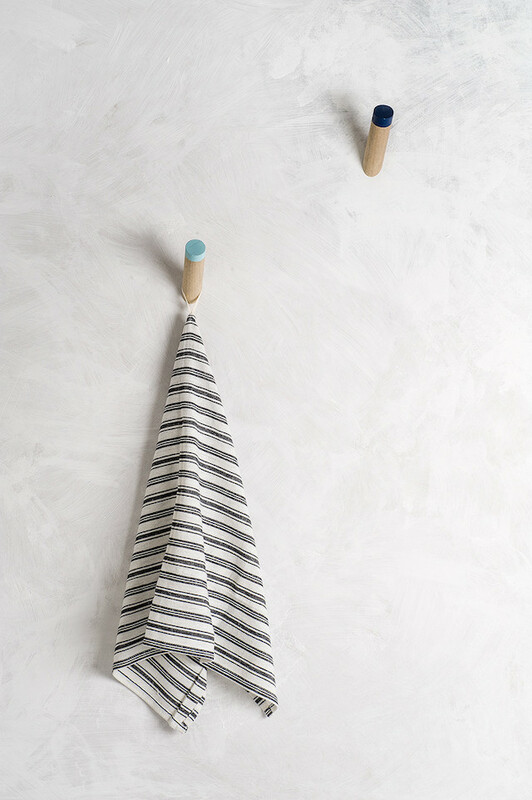 I also love smaller storage ideas, such as stylish containers and boxes. When it comes to magazines, office 'stuff' and kids toys, I never seem to have enough! I also also recommend utilising unused wall space, especially when space is tight. 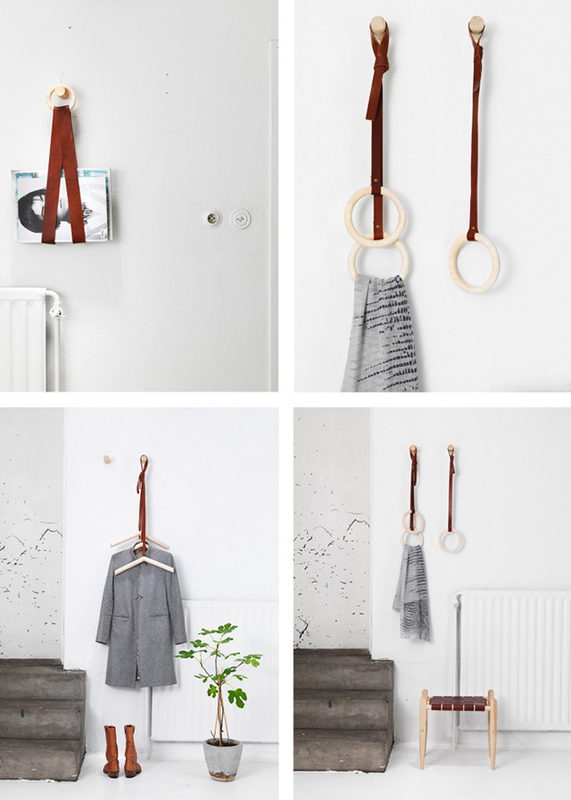 Hooks are not only functional, they provide a fun design element in the home. Also look out for smaller furniture pieces that double as storage. 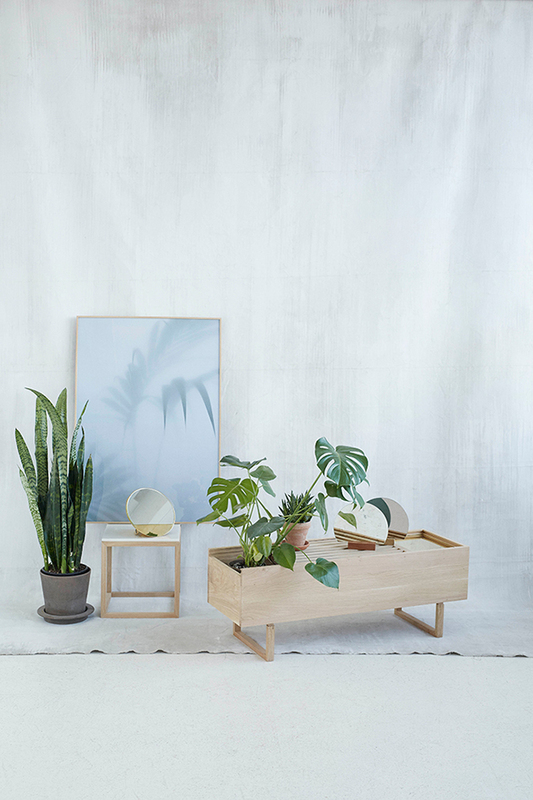 The clever Botanic Storage by Kristina Dam is a brilliant example. 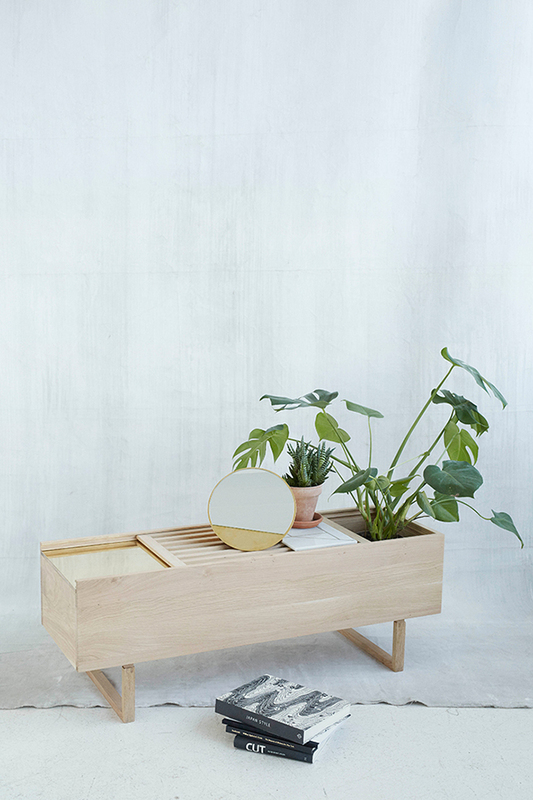 Designed as a low storage desk, you can place plants inside or on the top, while the space inside also allows for magazines, accessories or even shoes! Another design by Kristina Dam, I love that the Magazine Keeper comes with a marble top to place your cup of coffee! 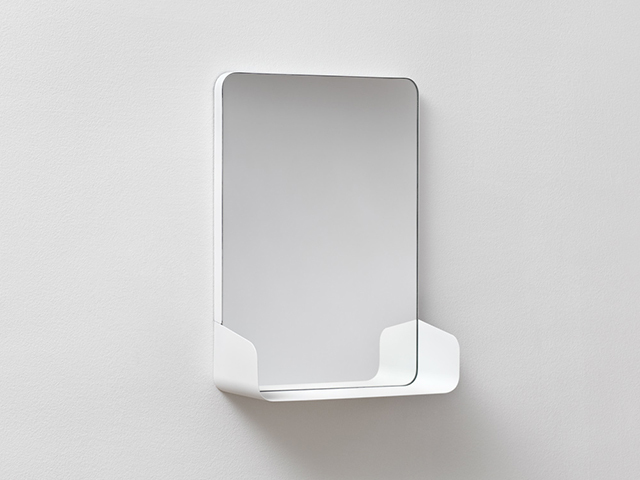 A recent discovery, Loop Design was founded by Elisheve Manekin, an industrial designer living in Israel. 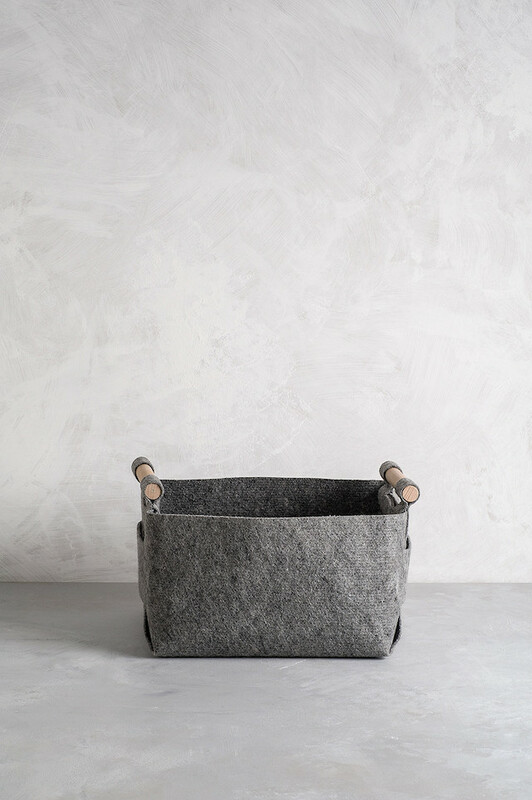 Creating timeless, unique home accessories that combine natural materials with thoughtful and functional design, I love the Felt Storage Bins. 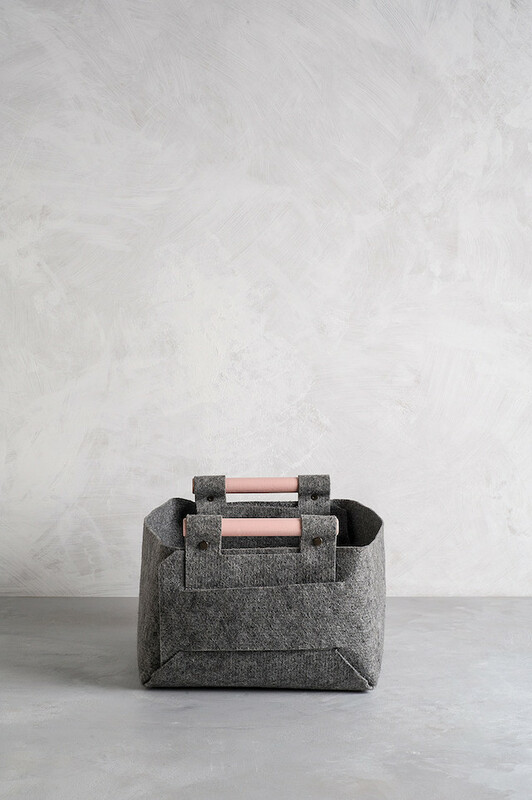 Perfect for keeping clutter at bay, I find the look of felt really appealing. Not only that, it is very strong and durable, and we all know how heavy piles of magazines can be. 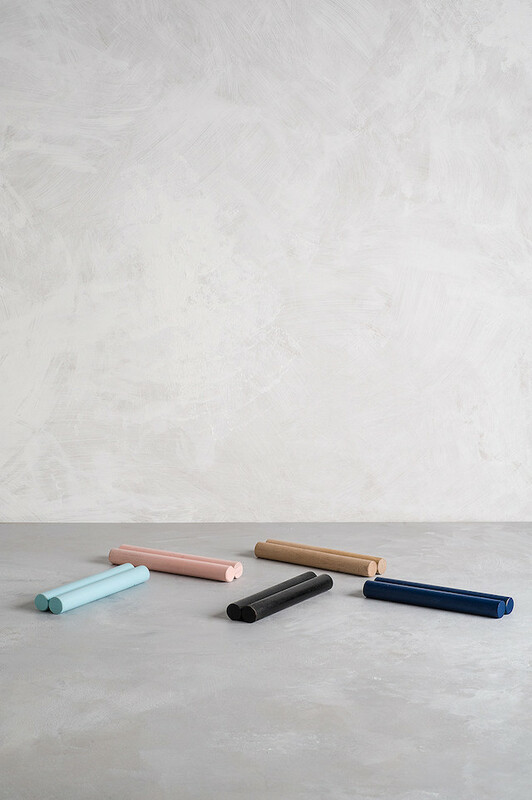 A unique feature is that the bins come with wooden handles in different colours to suit your decor. They can also be folded flat to store away when not in use. 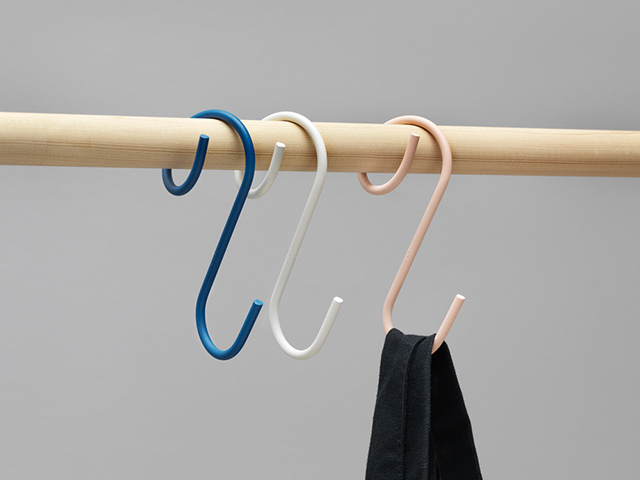 Fresh and functional, the Loop Design Wall Hooks come with coloured tips to mix and match. 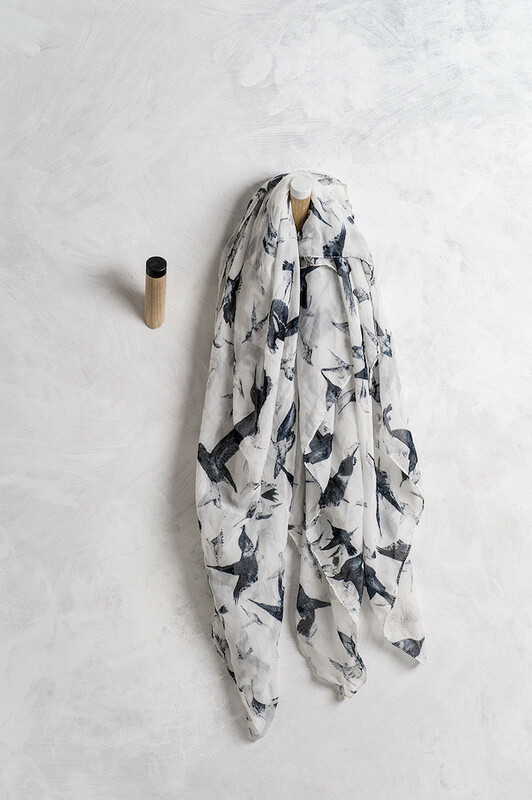 Vera Novis is a collaboration between Formbruket and SSM designers Sara Rudenstam and Hillevi Magnell. 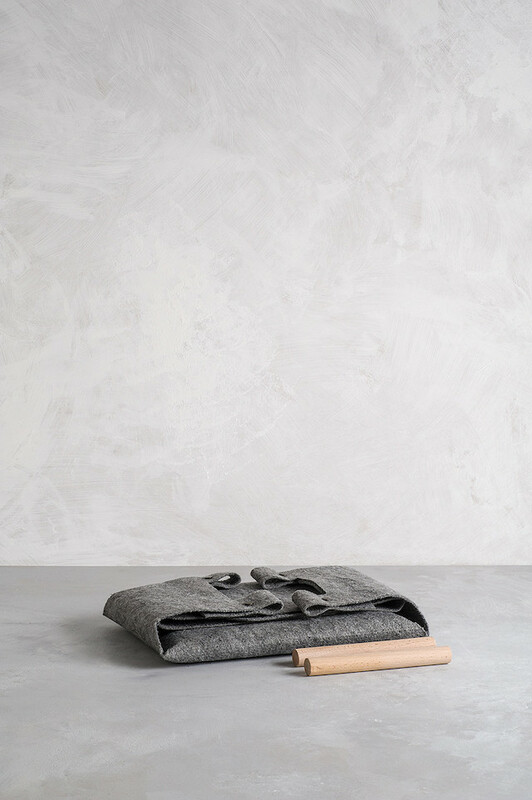 Working with simple Scandinavian forms and natural materials, including leather and wood, these clever designs are locally produced in Småland, Sweden. 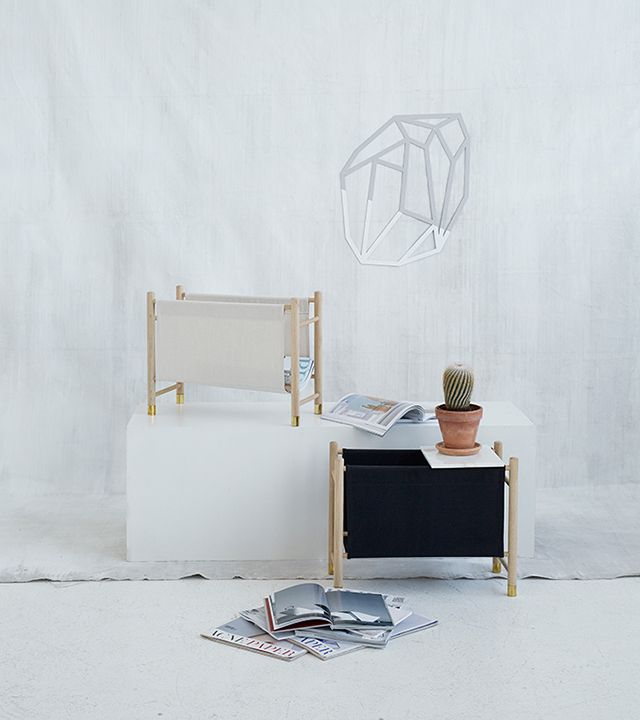 Bringing organisation to life, NakNak creates simple, functional and beautiful objects for different spaces by connecting international designers and an established, family-owned metal manufacturer in Taiwan. 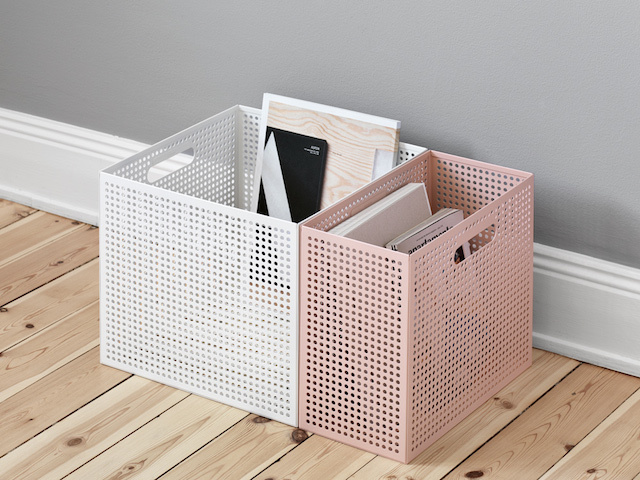 THE BOX designed by by Yenwen Tseng is made from perforated sheet metal, giving it an airy appearance, while handles on both sides give it the mobility to move around. 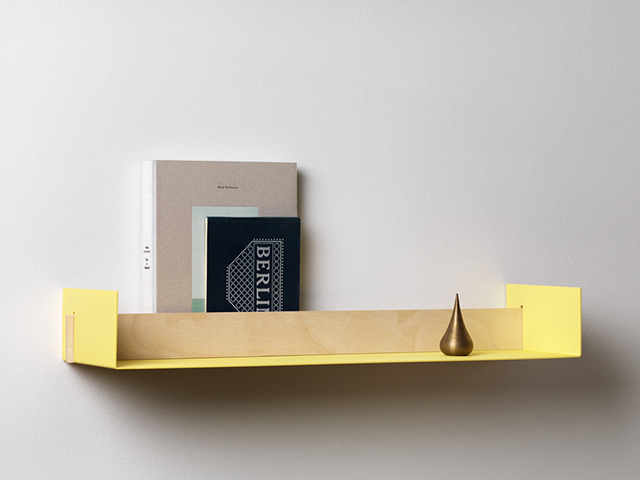 Some more small storage ideas by NakNak include BEAM, a simple metal shelf with a hidden space, SHELF, which combines a mirror with a shelf, and the Q-HOOK by one of my favourite designers Afteroom. 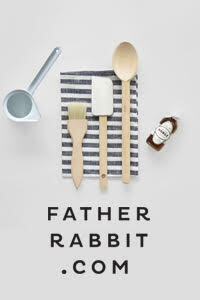 A reminder before I go... today is the last day to enter the Jane Denton WORLDWIDE GIVEAWAY. Don't miss out! Very creative ideas! Looks like a great way to maximize space and function. Thanks for sharing, Storage Crook Log Ltd.